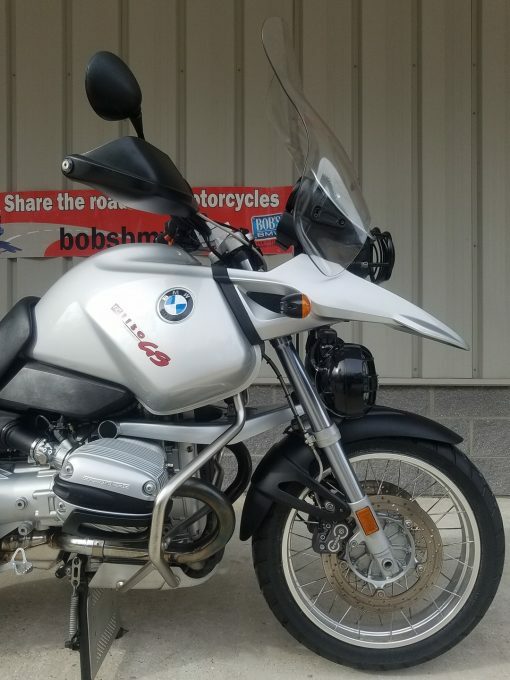 It was a rainy day here in the greater Mid-Atlantic region when the folder for this fabulous R1150GS Adventure arrived on this bike story writer’s desk. Everything the Bob’s sales and service departments had wanted to do before offering it up for sale had been completed. We think this is a very rare and desirable offering for the right buyer – one who appreciates the rarity of finding a really clean 5,000 mile, eighteen-year-young machine with lots more miles left in it, that runs even better than it looks, is totally turn-key from the vantage point of service, maintenance, or any other needs, is superbly equipped, and priced very competitively! 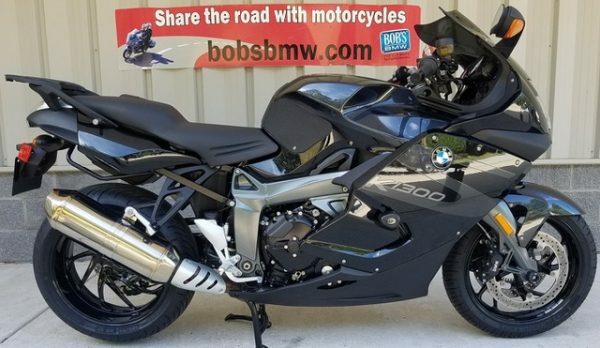 This bike would rate high by anyone’s standards, and while not cosmetically flawless or perhaps a museum piece, it is about as nice an example as one can expect to find; and we have a very critical eye for this level of review. This machine does not show any signs of neglect or abuse. 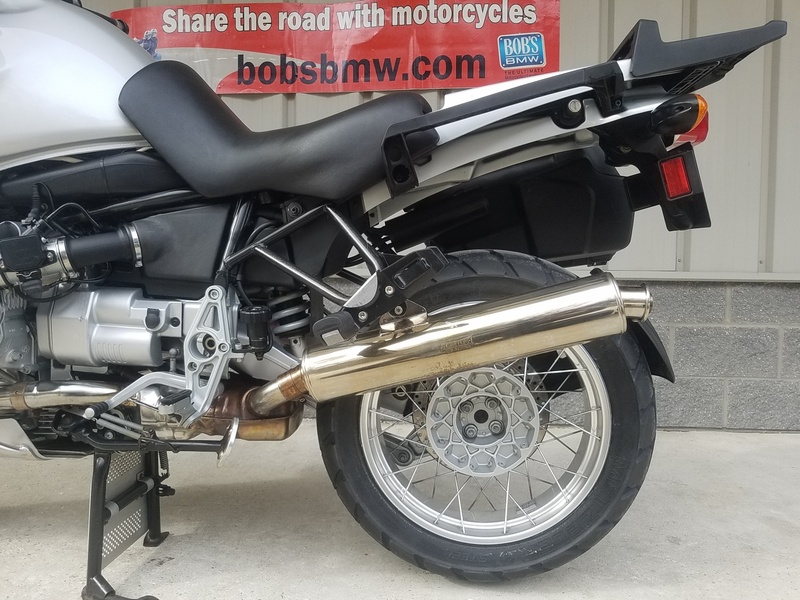 In addition to all the great factory features and BMW options this GSA offers, it has plenty of desirable high-quality aftermarket extras too. We’ll get to this shortly. And before we go father please note that the stock rider seat you see in several images is NOT included. 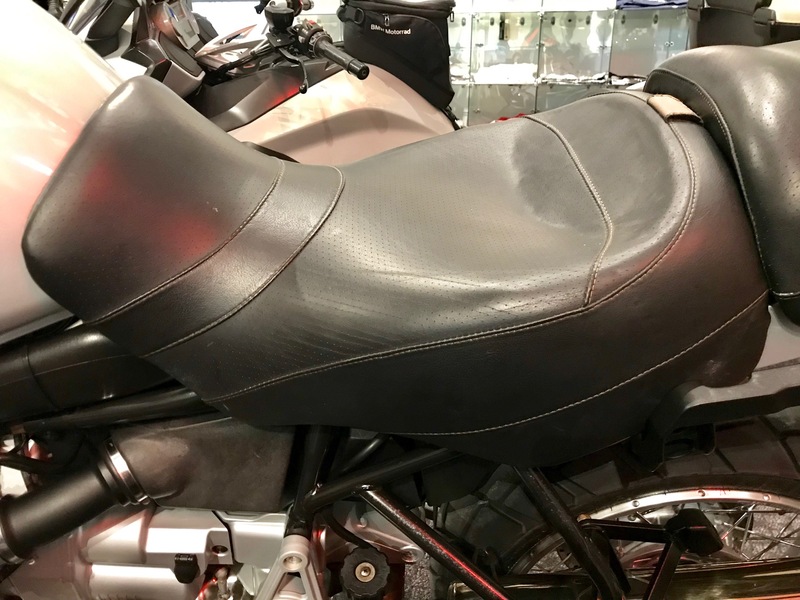 This was an error on our part, that seat actually belonged to another bike that was also being serviced and detailed for a customer. 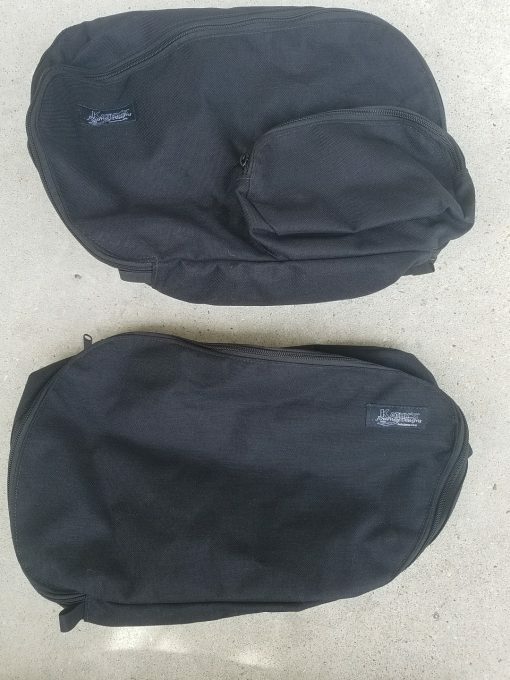 That’s why you see the Corbin rear seat with a stock front in the main view. A clear image of the included front Corbin seat is shown in the photos provided for your inspection. It runs like a true champ, everything works perfectly and it will impress anyone who wants a ready-to-ride-anywhere GS and not spend $10,000 to do so. 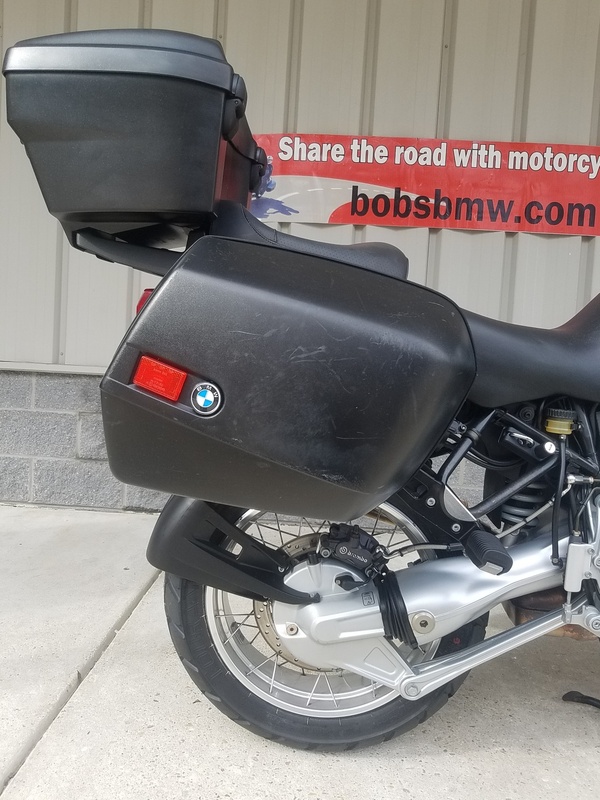 The entire driveline, frame, forks, wheels (way better than most we see), paint, exhaust, controls and switches, hardware, instruments, brakes and luggage are in pretty fine condition. There is a very little surface degradation on the frame in a few small areas and a tiny bit of rust on the front brake hardware which is very common and it’s minor enough that we may have to point it all out. The brake and clutch master cylinder covers have been replaced and are brand new BMW parts. If you have a really good eye you’ll spot the timing cover Allen bolts have seen better days – rest easy as these are all being replaced with fresh ones, we just shot the photos before they got to it as the weather was cooperative; our in-house detailer still has a few last touches to address before we’ll call it fully done so what you will see at the dealership will be better than what you see here. 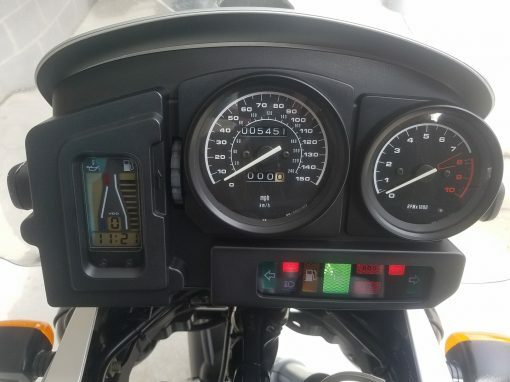 As for the ride-ability and service level, it is in need of nothing. Once we were done with our detailed evaluation process, recommending some service, then having it all completed, this bike comfortably passed the tough Maryland Safety Inspection (for the record, it’s far more involved and has higher safety requirements than nearby Virginia, Delaware or Washington, DC). 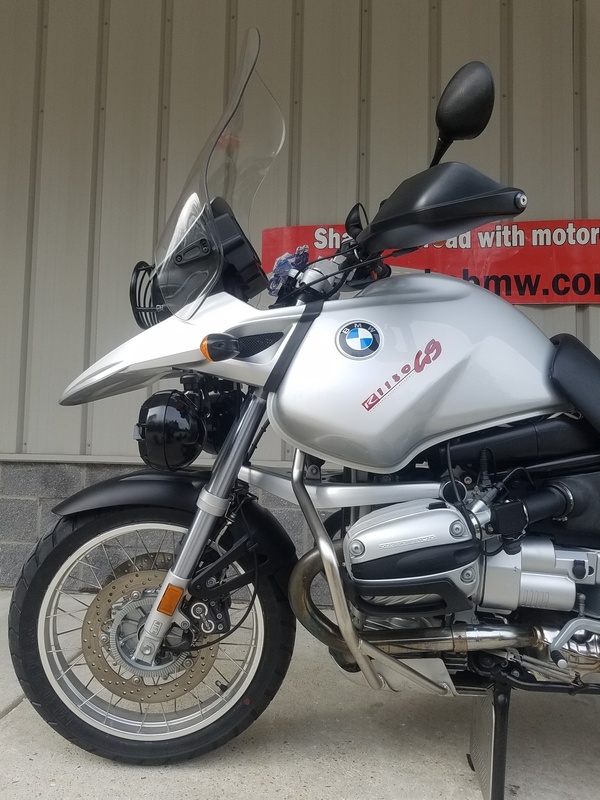 The bike has been out for several test rides by one of our Master BMW Technicians and Certified Maryland Safety Inspectors. But that’s just the beginning because we spent well over $3,000 of our own money making this one as perfect as possible from the maintenance and service vantage point stated earlier, as well as on the visual beauty side so the next owner can tell his or her friends that it’s newer than it really is. 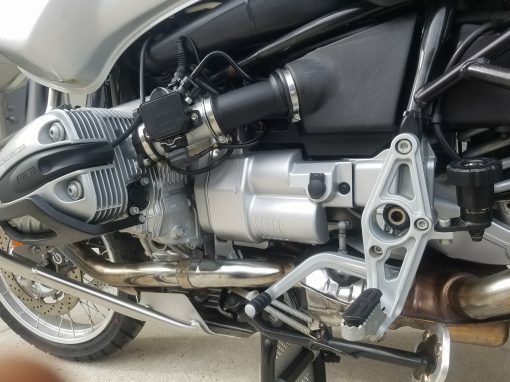 We just completed a freshening of the entire fuel delivery system, installing many new rubber parts, the filter, strainer and screen, vent hoses, O-rings, and even the vibration damper. It’s got a new battery and new spark plugs. 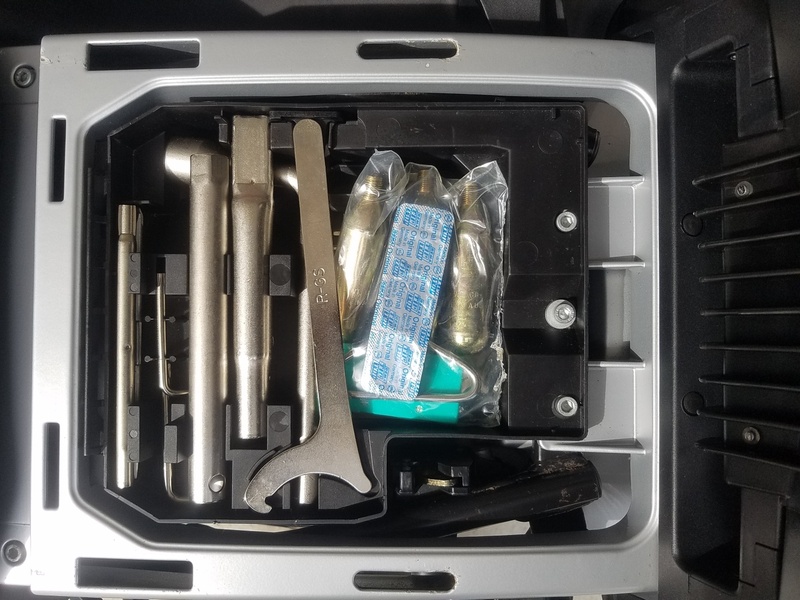 We completed a full bi-annual service so the next owner will have a fresh mileage point to start their ownership service history. We cleaned up some wiring here and there as sheathing ages. We installed new Metzeler Tourance tires front and rear with new valve stems and Nitrogen fill. We installed new Speigler brake lines plus the bleeder valve. 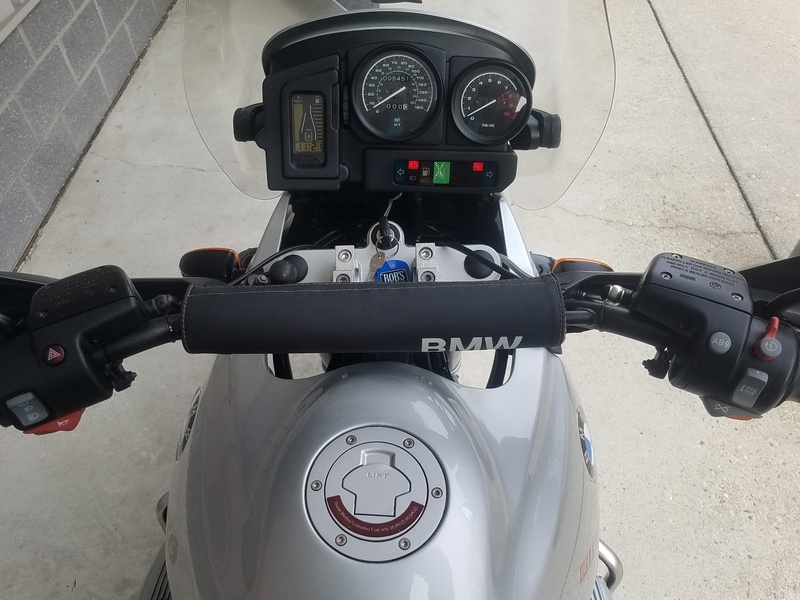 We replaced some hardware on the windscreen and as mentioned earlier, replaced the master cylinder diaphragms and covers too along with new BMW grips. 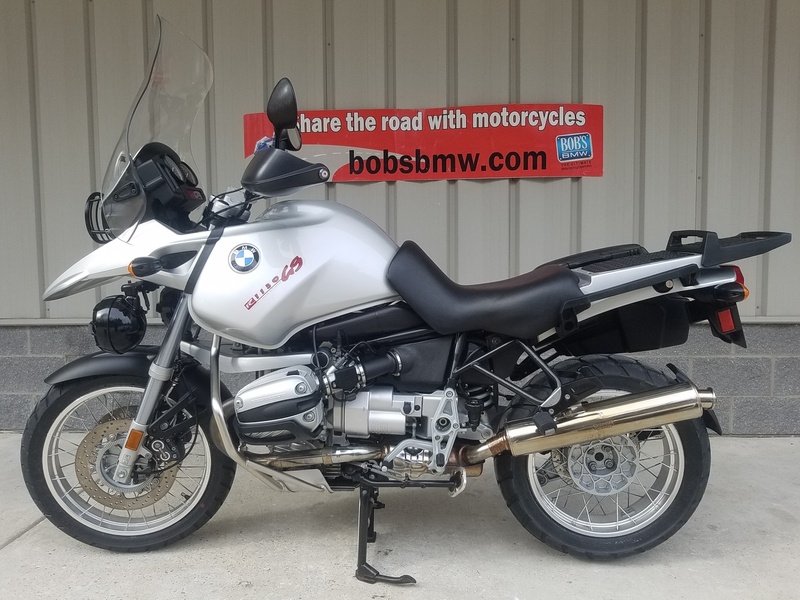 And when it was all done it went out for one more, extended test ride by our senior Master Diagnostician and certified, highly experienced BMW Master Tech. 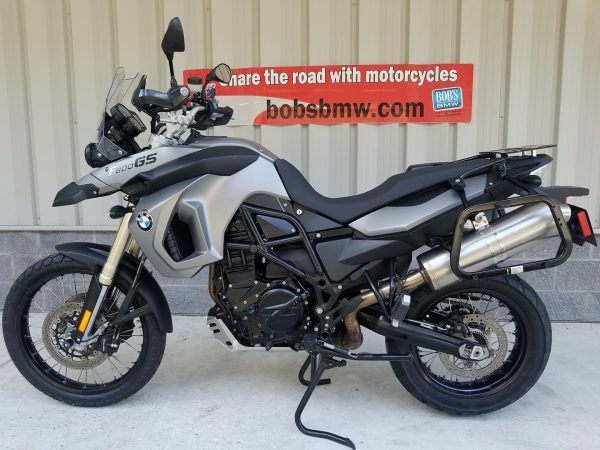 As for extras that are included beyond the big gas tank, luggage rack, 4-way emergency flashers, anti-lock braking system (ABS), Enduro transmission, heated grips and the Riders Information Display this one is nicely equipped with a nicely larger than stock ZTechnik windscreen, handlebar riser extensions, a solid factory bash or skid plate to protect the underside of the driveline, BMW crash guards and valve cover protectors, a handlebar impact pad, a beautiful to look at and hear Staintune muffler that sheds some serious weight and will never rust away, A fine set of leather Corbin seats and to top it all off the large set of PIAA driving lamps. But there’s more – a full set of correct BMW luggage starting with the optional rear rack which can then hold the included big BMW touring trunk that nicely compliments the set of full capacity (larger size RS/RT left bag thanks to the Staintune® muffler and bag adaptor kit) BMW System cases (with a small assortment of minor scratches and boot marks) complete with a set of our own Kathy’s Cordura® saddlebag liners and an optional debris catcher attached to the factory supplied center stand. 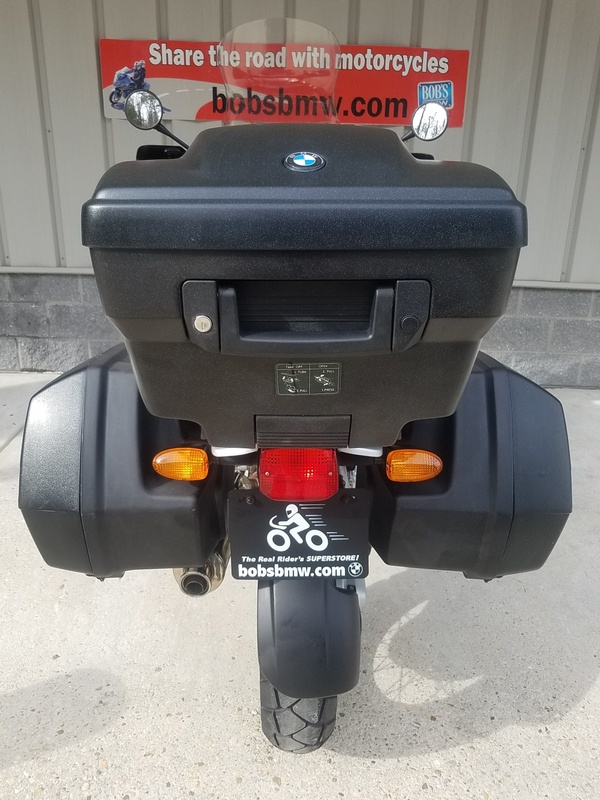 It also has the BMW hand guard set and a very nice black powder-coated metal headlight protector and a Bob’s side stand enlarger pad for greater confidence when parked on the side stand on sorter surfaces. 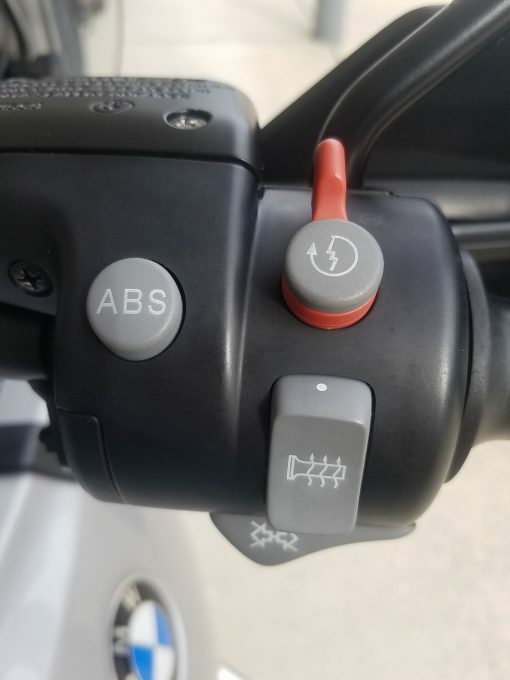 It also has an accessory ball mount on the handlebars plus a second BMW accessory female outlet on the left fender/dash/trim panel that is really handy. And that ball mount and extra accessory outlet comes in very handy because it’s where the included Garmin Nuvi GPS installs and plugs in. A tall adjustable ball connecting arm allows the rider to place it exactly where they’d like to view the upcoming roads on their adventures! Suspension is still factory original, built upon the excellent the factory Telelever (front) and Paralever (rear) systems. All components operate and look like new and have the full range of adjustability. 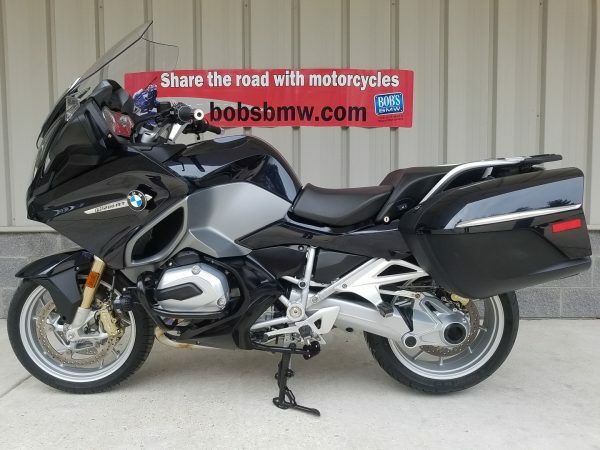 The bike starts up easily when cold, idles smoothly, shifts clean both up and down through the gears, accelerates beautifully, handles superbly (these 1150GS’s were one of BMW legendary benchmarks in dual purpose machines) and glides through the twisties, and stops on the proverbial dime as the brakes are really just barely broken in. We feel this one is very fairly priced and offers a great value especially considering the service level and included extras. And a few final comments on the exceptional, but not flawless cosmetics: the rims and spokes are beyond compare to 99% of the bikes of this era or this wheel configuration, the paint is near museum quality and all original. 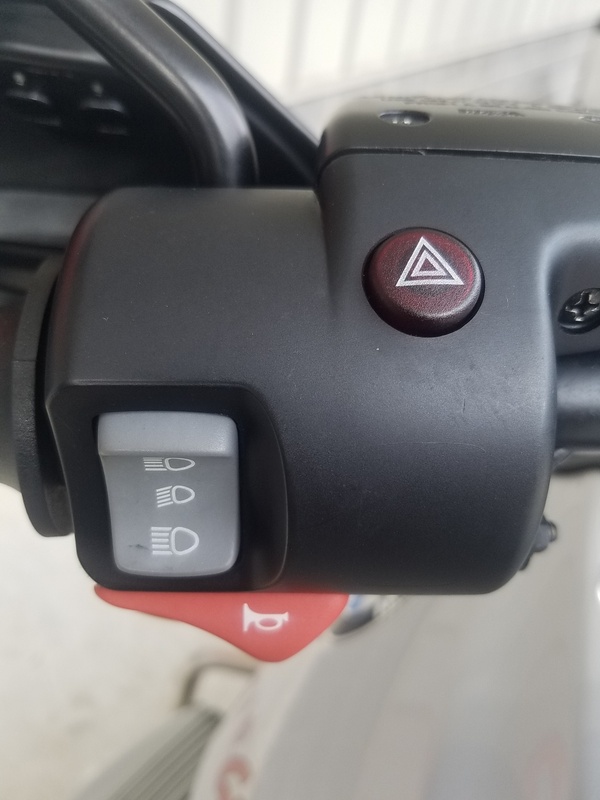 The forks show none of the typical fade or deterioration commonly seen on these machines, controls and switches are bright and all the imprints are easily readable. Engine, transmission and final drive castings are superbly clean as are the wheel hubs. 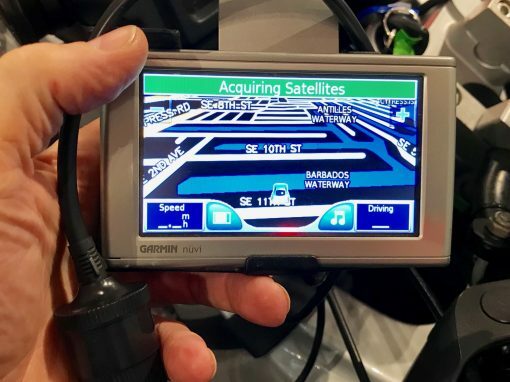 Gauges are bright and fully functional as is the RID display. The mirrors offer full viewing clarity and the shocks are in superb visual condition as well – often a neglected area on bikes due to the difficulty of getting in to clean them. 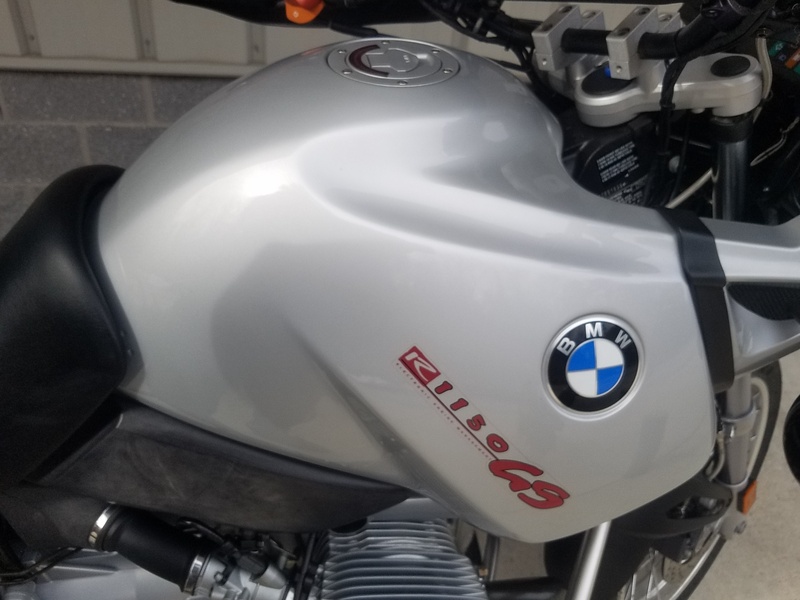 All the locks work smoothly including the factory external helmet lock on the right side and even the original fuel type decal on the gas cap is still in pretty good shape for the age and exposure to fuel and UV. 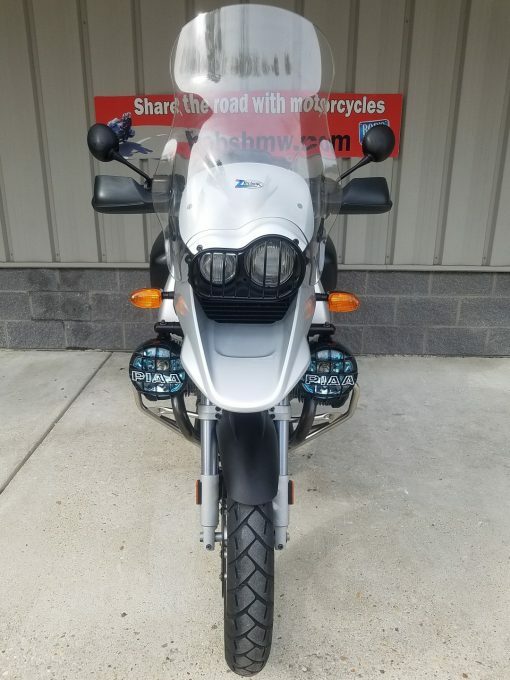 All in all this one will be very hard to beat if you’re looking for a great R1150GSA. 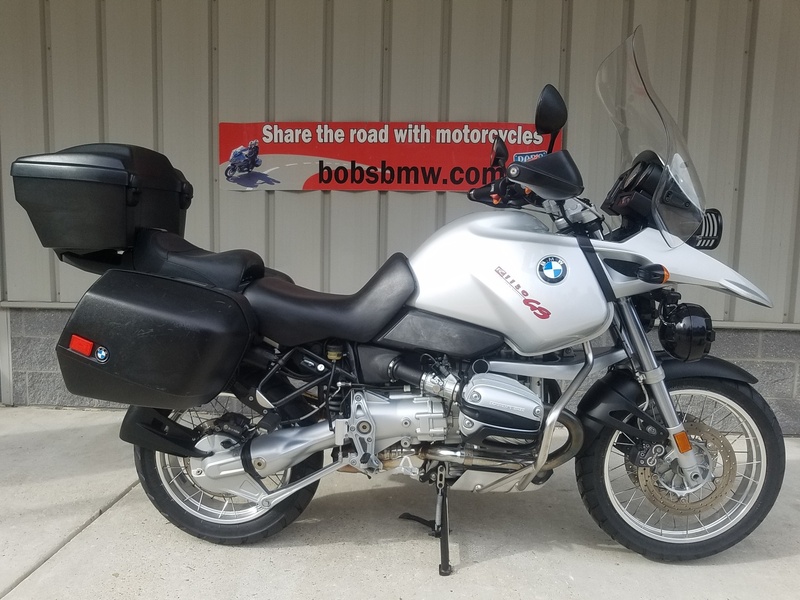 This excellent and desirable example is offered with 2 BMW keys, the original BMW owner’s manual, BMW tire repair kit and the correct (hidden under the seat and then under a snap in cover) factory tool kit.